The World Bank has announced an “open access policy” in which its data and publications will be licensed under Creative Commons copyrights and made free to the public. The policy, announced on April 10, will go into effect in stages starting on July 1. 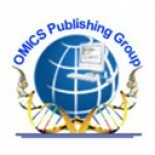 This entry was posted on April 24, 2012 by OMICS News and tagged access, biology, clinical, clinical experimental, conference and, conference and exhibition, conference on, congress, current research, disorders, exhibition, experimental, group, international conference, journals, omics, omics publishing group, open, open access, publishing, publishing group, scientific, therapy, usa international, usa international conference, usa international conference and, world congress.